A Nissan Canada spokeswoman would not confirm if all-wheel drive would come standard on the Altima in Canada or if it would be an option, though she did confirm it would be available on all trim levels. The 2019 Nissan Altima will have all-wheel drive available across all trims in Canada. It's a feature that sets it apart from most of its competitors in the midsize sedan segment. Nissan hopes AWD on the redesigned Altima, which debuted in March at the New York auto show, will cater to buyers in Canada and northern U.S. states where cold weather is often a factor in purchasing decisions. "All-wheel drive is more about making the car more relevant in markets where all-wheel drive is important," Michael Bunce, Nissan North America's vice president for product planning, told Automotive News in March. A Nissan Canada spokeswoman would not confirm if all-wheel drive would come standard on the Altima in Canada or if it would be an option, though she did confirm it would be available on all trim levels.The powertrain will be available on all trim levels with a 2.5-litre, four-cylinder engine, according to a Nissan Canada press release. An option for a four-cylinder, variable compression turbo engine will also be available. The Altima will join the Subaru Legacy and the Ford Fusion Sport in offering AWD in the midsize sedan segment, separating it from direct competitors in the Toyota Camry and Honda Accord. The redesign comes at a critical time for the Altima, which has seen its sales in Canada slip as consumers increasingly shun cars for crossovers and pickups. 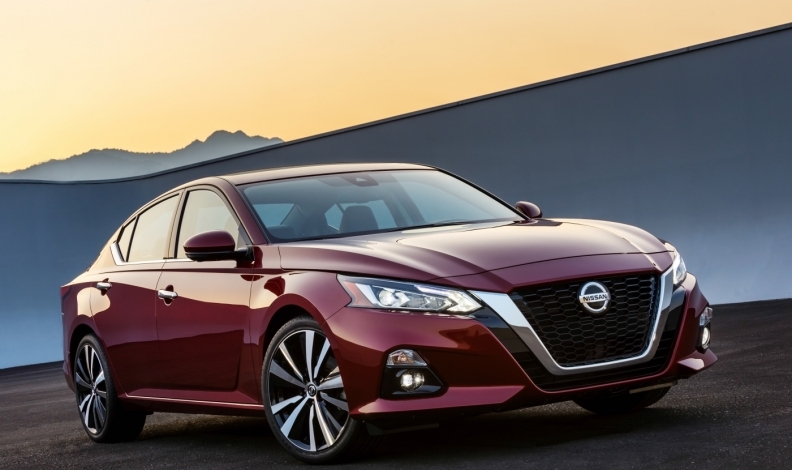 Altima sales dipped 15 per cent in 2017 to 6,626 units in Canada, while 2018 sales through March fell 26 per cent from a year earlier. The new Altima is lower and wider than its predecessor, and its interior features more legroom and a larger infotainment screen, among other changes. Pricing has not yet been announced.